Home » Uncategorized » Argos Home Opener Recap: Trestman Era provides positive early results. Argos Home Opener Recap: Trestman Era provides positive early results. 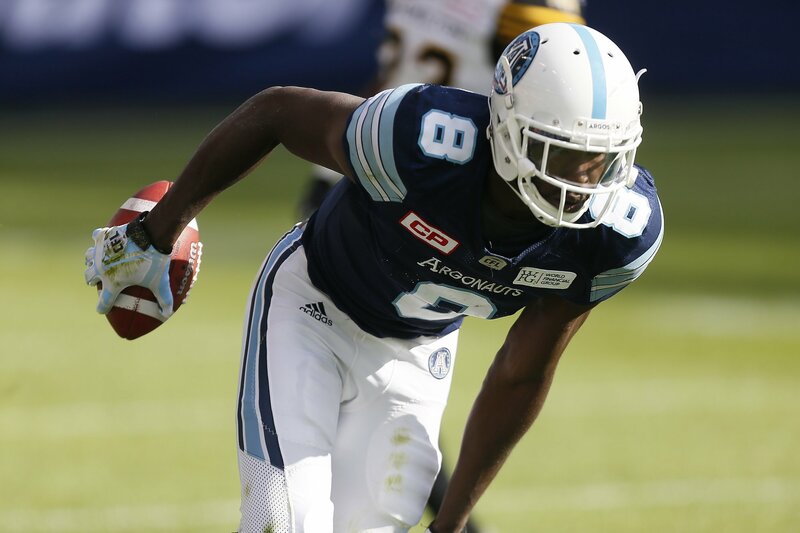 Toronto – The Marc Trestman era could not have gotten off to a better start for the Toronto Argonauts as they defeated their rivals from down the QEW, the Hamilton Ti-cats. The day started out much like the off-season did for the Argos, cloudy with a chance of a major storm brewing. However, as the sky cleared, so too did the Argos plans, which would put into action early Sunday afternoon. 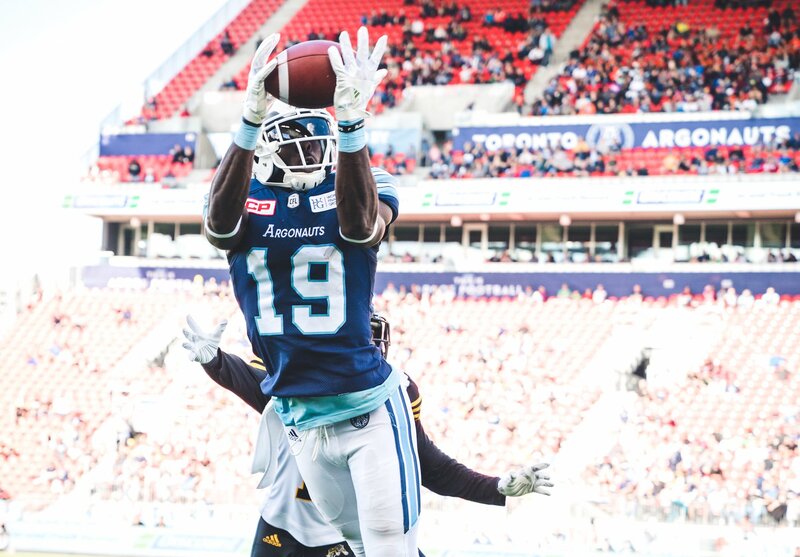 The first quarter saw Ricky Ray connect with SJ Green four times including one of his routine circus catches to help put the Argos ahead 5-0. The offense was clicking like it was a unit that had been together for years rather than one starting three rookies to the CFL and only the returning starters, excluding the offensive line. The only problem was finishing drives, as Jeff Fuller was too wide open and likely over thought a play in the end-zone that resulted in a drop. Defensively for Toronto, the big names that came over in free agency did not disappoint. Linebackers Bear Woods and Marcus Ball made their presence felt early, as did defensive back Jonny Sears Jr.
Toronto continued their dominant performance in the second quarter as backup QB Cody Fajardo punched the ball in from 1 yard out for the first major of the game. Two drives later, after a Hamilton field goal and single, the Argo would call on Kicker Lirim Hajrullahu to add another three onto the board making the score 15-4 Toronto. The Argos would then get the ball back just before the three minute warning and they used that time wisely. Ray went 4-4 on the drive getting the ball down to the Hamilton 17 before a costly drop in the end zone by newcomer Devir Posey, forced the Argos to attempt a field goal. The drop turned out to be more damaging than normal as the Ti-cats blocked the field goal attempt and returned it 84 yards for the score. Hamilton would then succeed on their two point conversion attempt making the score 15-12 at the half. Thankfully for the Argos, the major loss of momentum before the half did not carry over as Ray found Posey for a 79 yard touchdown pass on the first play of the drive. After forcing a Ti-cat punt, Ray and the offense would get back to work and the ball would continue to be spread around as Amanti Edwards and Anthony Coombs got in on the action, putting the Boatman in a position to convert a 49 yard field goal. Hamilton would respond with a field goal of their own bringing the score to 23-15 with the quarter winding down. However, Ray would again use all of the weapons at his disposal, getting fullback Declan Cross the ball on a short pickup that lead to another Hajrullahu field goal. The fourth quarter began with the Argos defense swarming Collaros and forcing him to get rid of the ball sooner than he would have liked. Newcomer Victor Butler was often in the backfield on passing plays, making sure the Ti-cats O-line was aware of his presence. After the Ti-cat punt pinning the Argos at their own 6, Ray would return to his surgical ways, completing 6 straight passes and setting the Argos up at the Hamilton 16. Hajrullahu who had a busy night, would once again put the ball through the uprights bringing the score to 29-15 Toronto with only 7:29 remaining in the game. Toronto’s defense did what they were doing best as they pressured Collaros once again causing an erratic pass to be tipped into the hands of former Ti-cat Cassius Vaughn who set the Argos up in immediate field goal position. Toronto would capitalize adding another three points to the board. Cleyon Laing would get two sacks on Hamilton’s next two drives ending any hope they had of coming back, ending the Argos home opener with a victory, 32-15 over Hamilton. Ray had a career night passing, and several other Argo players and coaches got some redemption to open up the season. They won’t have much time to celebrate however, as Toronto will be home this Friday night at 7:00pm to take on the B.C Lions who suffered a last minute defeat at the hands of Edmonton during their home opener. 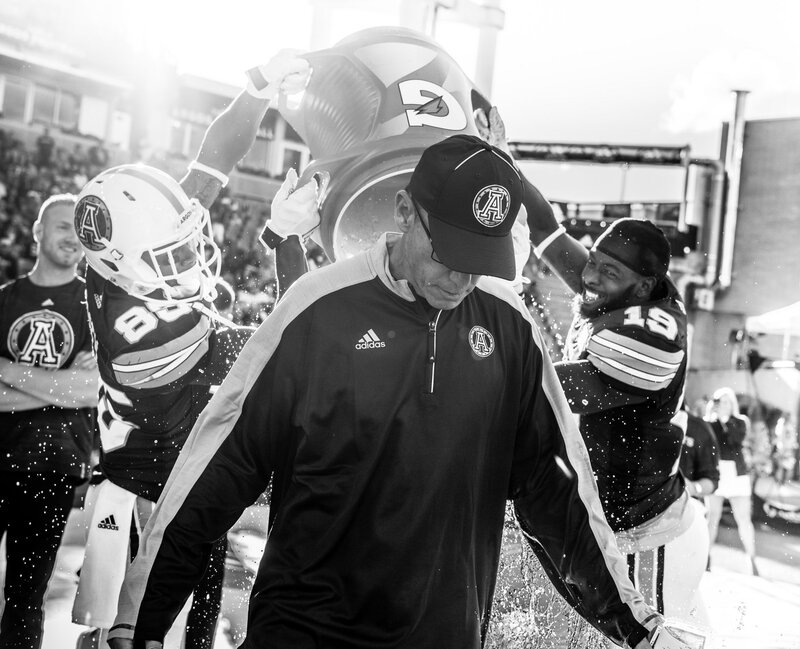 The Trestman era is off to a great start and hopefully this is just the beginning.